As indicated in Figure 7, surface water in Jordan contributes about 28% of the total water supply in the country. Surface water resources, such as the Jordan, Yarmouk and Zarqa Rivers, provide 239 MCM/yr of water. This includes 50 MCM/yr from the Jordan River in Israel, based on the 1994 peace treaty. The country’s three main rivers, the Jordan, Yarmouk and Zarqa, are a major part of the country’s surface water system. However, the available water supply from each has become highly unreliable. Upstream diversion and over-pumping in Syria (Yarmouk River and its tributaries) and Israel (Jordan River) directly affects water availability in Jordan (Fig. 9). In the past, one of the main water resources in Jordan was the Jordan River, with a flow of 1.3 billion m3 per year (BCM/yr). However, after Israel built the National Water Carrier in 1953 and diverted water from Lake Tiberias to Israel’s coastal plains and southern desert, the flow of the Lower Jordan River dropped significantly. The 50 MCM/yr that Israel provides from Lake Tiberias as part of the 1994 peace treaty was meant to compensate for this loss. A 2010 study found that the Lower Jordan River has been reduced to 2% of its historic flow. Water quality has also deteriorated sharply, with high levels of salinity and pollution from agricultural fertilizer and untreated wastewater upstream in Israel and the West Bank. Figure 9. Surface water basins. Source: Fanack after MWI. 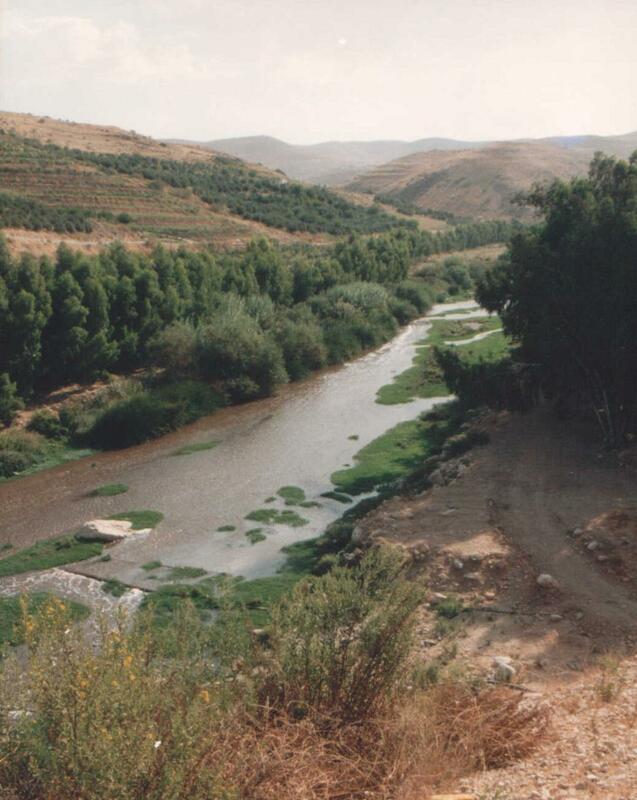 The Yarmouk River is the main tributary of the Jordan River, with a historic flow of 450 MCM/yr. However, over the last 30 years, Syria has built over 45 dams on the upper river, which has reduced flow rates to just 50-100 MCM/yr. This contravenes the 1987 agreement between Jordan and Syria, in which Syria committed to provide Jordan with 208 MCM/yr from the Jordan River. 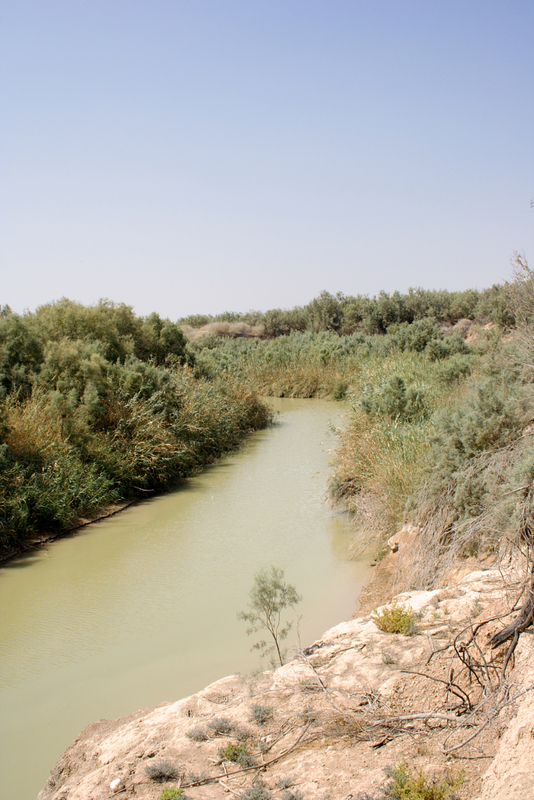 As for the Zarqa River, the only major river completely within Jordan’s jurisdiction, its waters are highly polluted. This is a result of its location within Jordan’s main industrial area, which also accommodates around 70% of the country’s small- to medium-sized industries. Few if any of these industries have any preventive plans to treat contaminated wastewater before it is dumped in the Zarqa River. At the same time, about 50% of the river’s flow comes from the al-Samra wastewater treatment plant. The proposed Red Sea-Dead Sea Project could in future become a new source of surface water. This regional project would transfer water from the Red Sea to the Dead Sea through a series of pipelines, providing fresh water to Israel and Jordan via desalination processes, while recharging the Dead Sea with concentrated saline water. For more detailed information on this project, please refer to ‘Water Infrastructure‘ and to the Fanack Water Special Report. The Lower Jordan River. Photo: David Bjorgen. Given the issues discussed above regarding the amount, reliability and quality of surface water sources, the Jordanian population relies mainly on groundwater for its domestic water supply. However, the groundwater supply also no longer satisfies domestic demand, mainly because farmers also use this groundwater to irrigate their crops and the domestic and agricultural sector are competing for the same resource. In 2013, the agricultural sector consumed about 53% of the country’s water resources while contributing only about 6% of GDP. Groundwater (renewable and non-renewable) accounts for about 60% of the annual water budget, or about 508 MCM/yr. There are two main types of groundwater resources: renewable and non-renewable (fossil) resources. Renewable groundwater aquifers can be recharged by natural and artificial recharge. Rainfall, surface water and irrigation are natural sources of recharge, while processed fresh water (through leakages in the delivery systems) or treated wastewater fall under artificial resources. Twelve groundwater basins have been identified in Jordan (Fig. 10). It has been estimated that the safe yield that allows for recharge of the groundwater supplies of renewable groundwater resources across the country is about 275 MCM/yr. Zarqa River, Jordan. Photo: Dr. Meierhofer. Figure 10. Annual safe yield of groundwater basins in Jordan in MCM. Source: Fanack after Altz-Stamm, A., 2012. Bromberg, G., 2007. ‘Will the Jordan River Keep on Flowing?’ Yale Environment 360. UN-ESCWA & BGR, 2013. Jordan River. In: Inventory of Shared Water Resources in Western Asia, Beirut. Aquastat, 2008. ‘Irrigation in the Middle East region in figures – AQUASTAT Survey 2008: Israel’. Abu-Sharar, T.M. et al., 2003. ‘The use of treated sewage for irrigation in Jordan: Opportunities and constraints’. Water and Environment Journal, 17(4): 232-238.